If you are searching for delicious and authentic Chinese food, then you can pay a short visit here. The most popular delicacy of this eatery is the roast suckling pig. This is the best place to enjoy plates of seafood, soups, some pork, and duck. The hospitality of the staff will mesmerize you. They are well trained to speak English at your convenience. So, don’t waste your time looking for better tastes as this is the best option to make you fall in love with Chinese dishes. 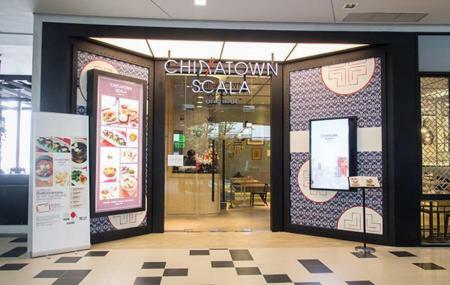 How popular is Chinatown Scala? People normally club together Amulet Market and Amarin Tower while planning their visit to Chinatown Scala. Shark fin is an expensive delicacy that will soon be hard to find. Expect to pay a few hundred usd for the premium large fin dish. Long standing establishment. Probably one of the better shark fin places. It was good but the richness of the broth was not excellent. Lots of servers not doing much but talking to each other. Very good service. The brown soup is tasty and be served in boiling. Spring Roll is not crispy as it said Hong Kong style (never try original one) but all good to dip with plum sauce. I treated my Japanese friend here and she really enjoy everything. Overpriced food. Not really good. Among the worst quality/price I have seen. Don’t take Amex. Overpriced and not really good food. Peking duck was dry and full of bones. It was definitely not worth 1000 THB for a portion. The restaurant is fancy and rather posh. Prices are high and do not correspond with quality or expectations. There is Wi-Fi here. You can pay with credit card. Jazz. Beer. Drinks. Good place and atmosphere.